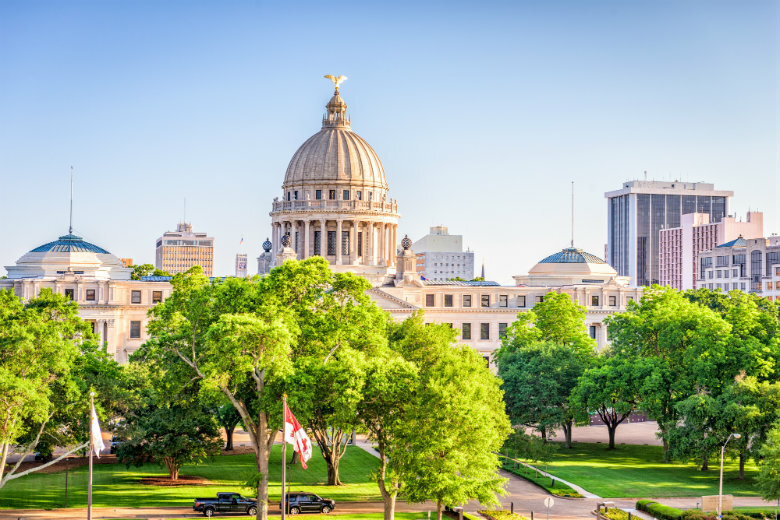 In addition to being the birthplace of Blues music and the home to many celebrities, Mississippi makes a fine place live, work, and raise a family. If you are thinking about moving to Mississippi, then you might think that driving is your only option. However, there is a faster and easier alternative. Use National Dispatch to ship your vehicle to Mississippi. Whether you are moving to Mississippi permanently or just visiting, check out these reasons why customers use our vehicle shipping services. It is stress free! Regardless of if you are on a long vacation or planning a relocation, you may be stressed with all the details. By using our vehicle shipping services, you will be able to check off one item from your To-Do List, what to do with your car. Not to mention, after planning out all the details and getting ready, you probably do not want to spend hours driving. Hop on a plane. We will transport your vehicle to your destination. It can save you money! Traveling and moving can be quite costly. If you are on a long vacation, the cost of renting a car is astronomical. If you are moving, it may be cheaper to ship your car and board a plane. During a long road trip, you have to factor in the costs of gas, lodging, food, and activities. Our vehicle shipping services are safe, fast, and affordable. It can protect your vehicle. Traveling long distances can put a lot of unneeded wear and tear on your vehicle. Not only will it put a lot of miles on your car, but it will also burn through oil, coolant and other engine fluids much faster. The added miles can also cause you to replace your tires much sooner than you had anticipated. And of course, there is always the possibility of getting into an accident. National Dispatch minimizes, if not eliminates, all of these risks. Once you have arrived in Mississippi, you will probably want to start exploring. Here are four unique places to visit during your stay in the Magnolia State. Located in Jackson, The Mississippi River Basin Model sits untouched and as a reminder of hardship. In 1927, the Mississippi River flooded leaving more than half a million people displaced and thousands of homes destroyed. The Army Corps knew that they had to do something to prevent this from happening again. They tried new systems, laws, and levees, but 10 years later, the same thing happened. While their efforts were with good intention, they did not look at the Mississippi River as a whole, but rather they took it piece by piece. That changed in 1943 when the Army Corps decided to build a model, this was before computers, of the entire river basin. They used what resources they had to build the model. At this time, our nation was fighting WWII, so manpower was limited. They used prisoners of war from Italy and Germany to build the model. It took 26 years to build and contains over 40% of the US and 15,000 miles of rivers built to miniature scales. The model sits on 200 acres of land and today, is overgrown with shrubs, weeds, and bushes. It was abandoned when computer modeling began and eventually became more of a burden than it was worth. It is open to the public, but be cautious as there are holes and sump pipes on the property. Leland is the place to visit if you love the beloved Muppets. The creator of the Muppets, Jim Henson, grew up playing in the swamps of Leland and among the plants and animals. This is where he also met his childhood best friend, Kermit Scott, whom Kermit the Frog is supposedly named after. Today, the Leland Chamber of Commerce is home to a small Muppet museum. At one point, the museum held three of the original Muppets, but they had to be returned to the Jim Henson Company. Thankfully, Jim Henson’s wife found out and gave them an original Kermit the Frog puppet. Aside from the puppet, the museum has several other novelty items and facts on display for the general public. There is also the opportunity for guests to take a picture with a giant Kermit the Frog as a souvenir. William Faulkner was a beloved author. In 1930, he and his wife, Estelle, bought a rundown estate, in Oxford. The estate was originally named “The Baily Place,” but Faulkner named it Rowan Oak as a nod at the mythical rowan tree that represents peace and serenity. William Faulkner renovated most of the home on his own, but chose to leave the untamed forest around the home as it was. This became one of his greatest muses throughout his writings. The Faulkner family lived in the home for well over 30 years until William died. After William’s death, his daughter sold the estate to the University of Mississippi. The University opened the home to the public, and many authors come to the home in hopes of finding inspiration for their own writing and to pay honor to the great writer from the past. Located near Gulfport, there is an island known as Ship Island. Ship Island holds Fort Massachusetts. The fort was built after the War of 1812 and was still under construction when Mississippi gained the land. Ship Island was primarily used to gain capture of New Orleans, but today it is a tourist attraction. It covers more than 84 acres in total, but it is easily walkable. From the island, you can witness a wide variety of wildlife including dolphins, stingrays, crabs, and pelicans. Ship Island is one of Mississippi’s most tranquil places, and many people go to sit on the undeveloped beach to relax and decompress from the stresses of life. The only development on the island is the old fort, a snack shop, restrooms, boardwalk, and a covered picnic area. The Park System does ask that anything, including trash, you bring onto the island comes off the island with you. Are you looking to ship your car to Mississippi? Request a free, instant car shipping quote from National Dispatch. No personal information is required. If you prefer to speak with an auto transport representative, call us at 800-321-2051.